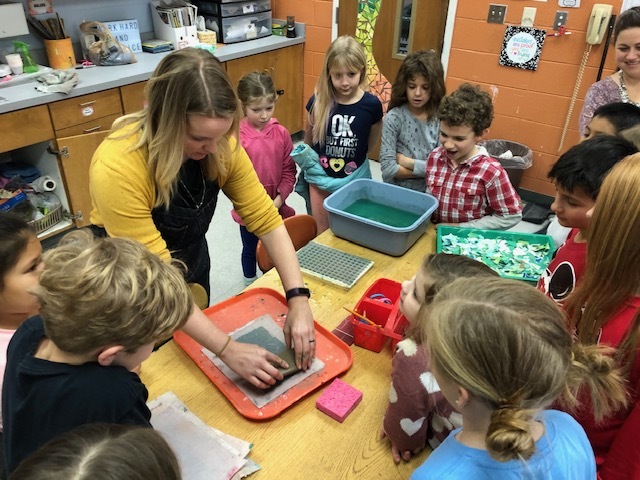 “The Ancient Art of Papermaking” grant provided a variety of materials to facilitate students’ understanding of the history and art form of paper at Valle Crucis and Bethel Elementary Schools. Lindsey Postlethwait of Valle Crucis and Bethel Elementary Schools demonstates papermaking to a group of students who look ready and willing to try it! “The Gift of Song!” grant puts music literature in students’ hands; inspiring current and future WCS students. 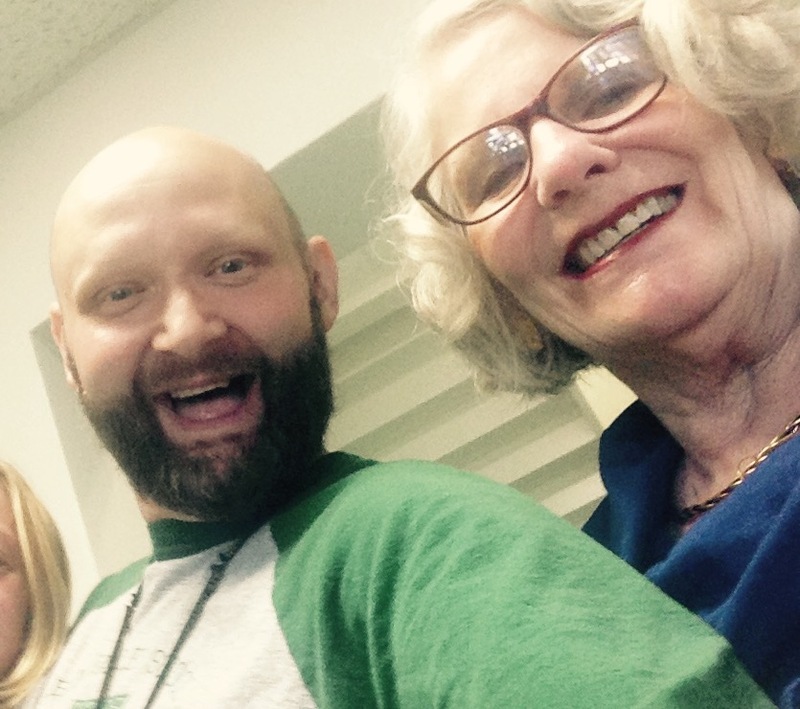 Chris Watson of Green Valley Elementary takes selfies with Watauga Education Foundation board member Wendy Jessen at grant award presentation. 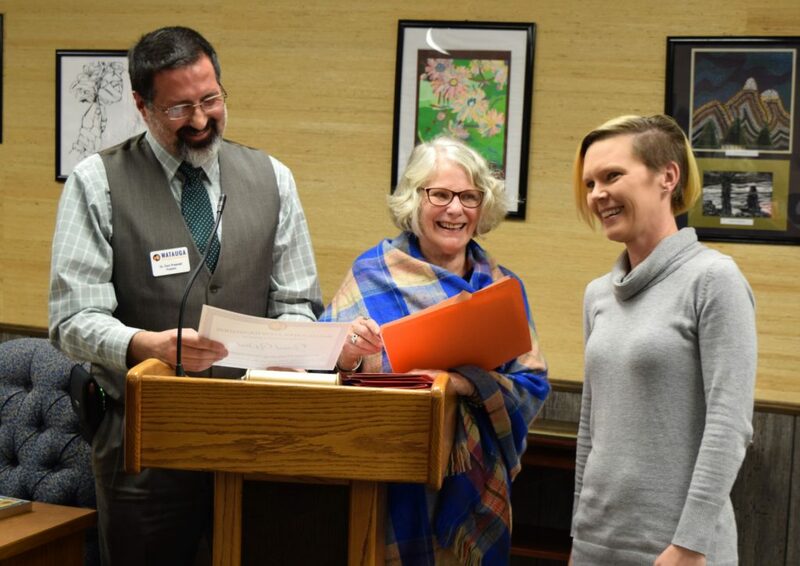 Fellow grant application writers Erin Ellington of Parkway Elementary, Jeanie Hawkins of Hardin Park Elementary and Becky Reis of Cove Creek Elementary are not pictured.